We are basically finished with Ittle Dew for tablets, and we’re just about to submit and send out review copies. I wanted to show you how it looks (and works). When you start the game for the first time you’re prompted to choose between two settings, gestures and on-screen buttons. Playing with gestures is super comfortable since you can play with just one finger. Hold to go there, and use one of the four gestures to use the items. As you unlock the items, Tippsie will show you how to perform the action. I know there’s a lot of players out there that don’t like on-screen controls, but actually they are my personal preference. We’ve iterated and tweaked the feel many times until we got them as good as we wanted them. It’s easy to change controls at any time too, so try them both! 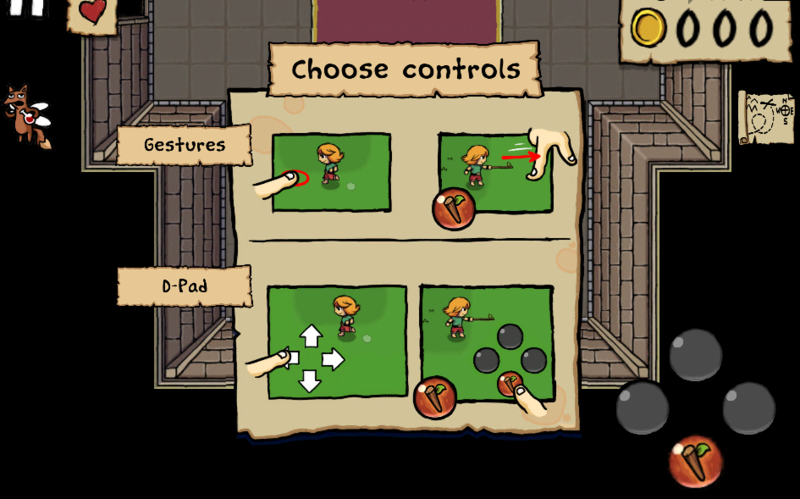 We hope to have Ittle Dew out on tablets before the end of this month. 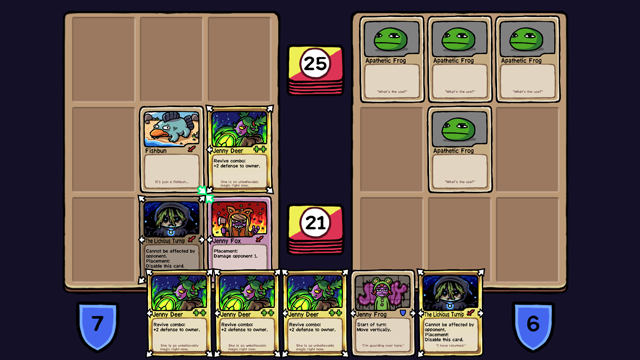 Our game “Card City Nights”, that Haku introduced in the last post, is in fact a crossover type game. With just Ludosity-related games! Games like Ittle Dew (of course – our one somewhat known game), Space Hunk (the bizarre Mojam game), Healthy Weapon (my android fighter) and of course Daniel Remar’s beloved games such as Iji, Garden Gnome Carnage & Hero Core. Plus many more, that you’ve never heard of! In the game, you collect cards featuring these “franchises” but you also meet & battle people that are kind of characters from these games but “remixed” as various regular, urban card game enthusiasts. 1) Almost no one will have any idea what the hell is going on with this baffling game. 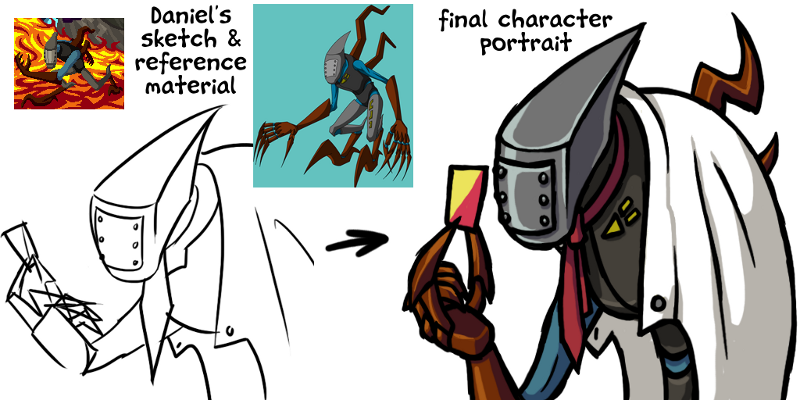 2) I have to draw the characters from Daniel’s beloved games and not screw them up! So let’s talk about 2. Here’s what I did, I had Daniel draw a sketch for his characters, to give me a pose to work with and ensure I don’t misinterpret details about their design. 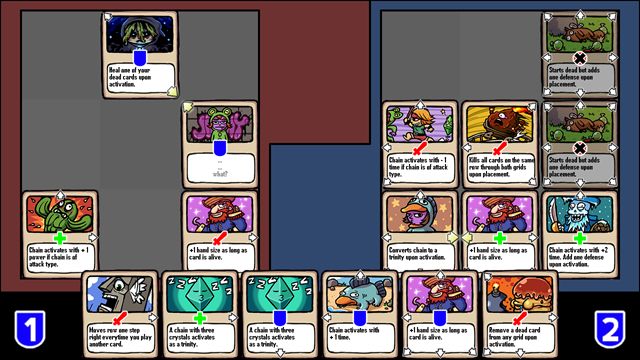 The final version of the prototype for Card City Nights. The project is now well on its way, with new elements inspired by games like ‘Pokemon: Trading Card Game’ and ‘Professor Layton’, graphics in the same style as Ittle Dew and with jazz and hip hop inspired music. 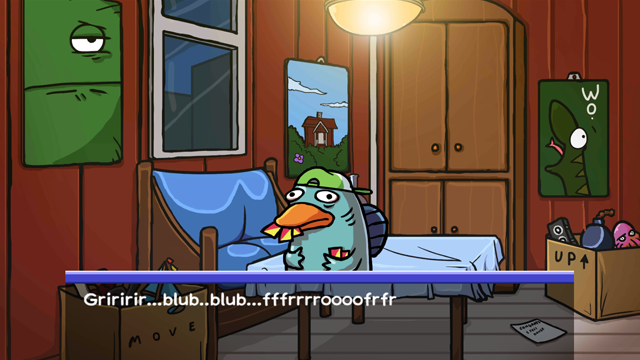 Here’s some screen shots and some music from the development so far! Enjoy. A game of Card City Nights.